The first time I shouldered my backpack with the MSR Advance Pro 2 Ultralight strapped to the outside, my partner looked at me like I was crazy. "You don't want to skin with all of that weight," he said, eyeing my overnight pack. The bright orange tent he was looking at—a minimalist, four-season, single-wall shelter—weighed all of 2 pounds, 14 ounces. The only thing I really noticed was the bulk of a zero-degree bag stuffed into the pack that I normally use for quick day missions. "It's fine," I told him. That day, as we skinned 4 miles to our campsite and past the crowds to our private ski stash, I can't say that I noticed any extra tent weight. The Advance Pro was easy to set-up. It has two connected poles that cross and slip into two sleeves with minimal effort. The tent can be set up and staked in under 10 minutes by one person. As a single-wall, four-season shelter, the Advance Pro does not have a fly, nor a vestibule. No frills, no nonsense. Inside, the tent feels narrow and tall—the tent is 42 inches wide and 82 inches long with a 44-inch ceiling. 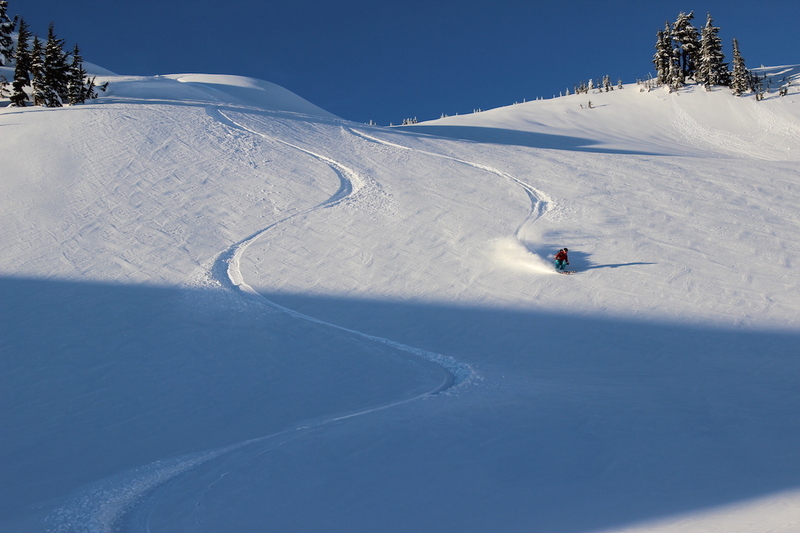 The design is intended for "high-altitude ledges," as described by MSR. While I appreciate its minimalist weight and function, I found that I missed having an internal stash pocket to tuck a headlamp and other small gear into. Its 24 square feet slept two people (my 6-foot-2 partner and my 5-foot-1 self) comfortably with a little leftover space to store gear. Getting weathered out in this tent wouldn't be the worst thing, but gear storage might be a bit of a squeeze. When the temperature hovers around freezing, either just above or below, I noticed that the inside walls tended to collect condensation, despite leaving the top part of the door open in addition to its single overhead vent. This is to be expected with a single-wall tent, and at colder temperatures this problem likely wouldn't be as much of an issue. The MSR Advance Pro feels like a good option for the Cascadian climber; come rain, snow, wind or sunshine—most of which can be expected in a relatively small time frame in our soggy, temperate, maritime climate—it will keep you sheltered. The deep sleeves seem as if they would adequately support the frame and poles of the tent in adverse conditions. Also, a video on the MSR website demonstrates how the X-pole design is intended to make it easy to set up the tent while standing in a single stance. Relative to other ultralight designs I've used, the Advance Pro feels as though it could weather several seasons of heavy use, guiding or otherwise. Investing in a footprint would aid in its longevity. On the whole, this is a great piece of equipment to have in your arsenal for fast and light trips. The tent is sturdy in its construction, efficient in its design and reasonably priced relative to similar designs at $550. 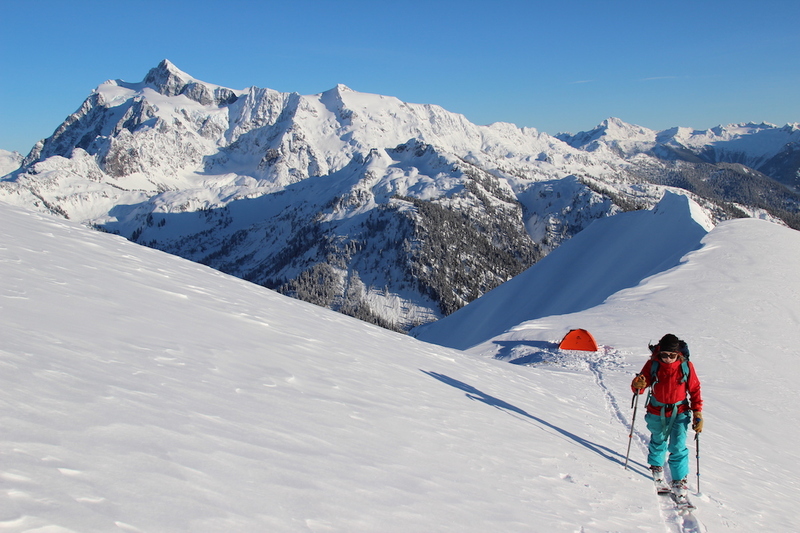 Mallorie Estenson is an alpine guide, working in the Cascade Range with Mountain Madness. 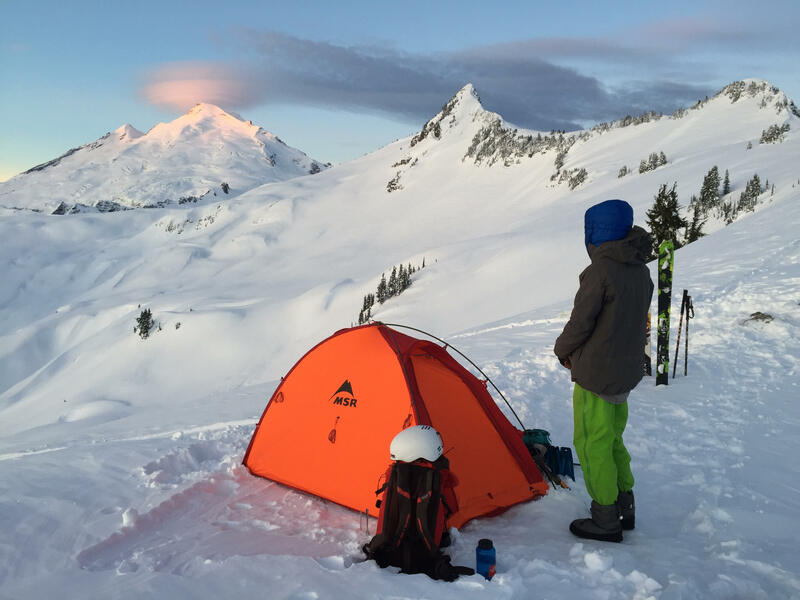 She's been obsessively climbing and skiing her way through the Pacific Northwest for the last four years, averaging upwards of a month in tents over the course of a year. When she's not out in the field, she writes for her local outdoor magazine or her personal blog, pnwclimbergirl.com. You can follow her work on Instagram: @pnwclimbergirl.